These days, the world of business can get a little hectic without a digital assistant. Trying to remember phone numbers and email addresses is impossible for most people running a business. You need a sales CRM. A lot of people now store contact information and other essentials in their smartphones and other devices, saving room and hassle. However, there are much easier ways than sifting through page after digital page to find what you’re looking for. Juggling multiple different programs for one task can get tricky, after all. Thankfully, a CRM does everything for you. 1 What Is a CRM? Customer relationship management, or CRM, software is a collection of tools to organize everything for you. From contact information to prospective leads, the CRM has all you need to keep your business on track. The point of CRM software is to maintain healthy relationships with your customers, as the name implies. The software does everything for you, like an address book of the future. What separates a CRM from a basic contact list on any smartphone is keeping everything in one place. You don’t need several different programs to do one action anymore. Of course, you could still get by, but wasting so much of your time hurts the customer and the company. You can cross-reference all the contacts, and everything will be connected. You can also use the CRM to understand acquaintances better and know exactly what to say the next time you see them. Think of a CRM like a business-oriented social media app exclusively for you. Everyone’s information is readily available, all the tools are there and you control everything. 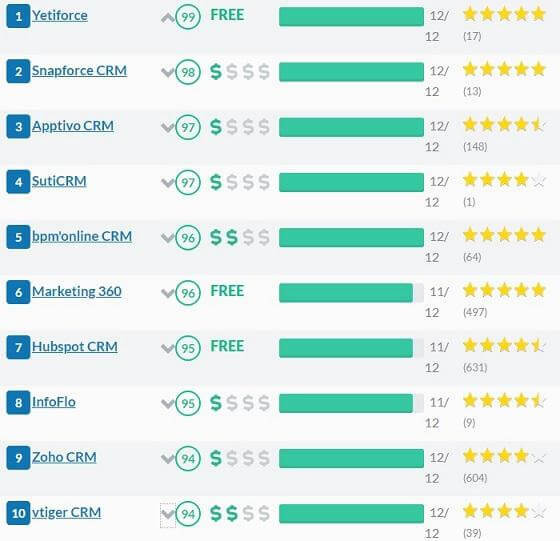 Even better, a CRM is a good investment. While they may be expensive up front, CRMs save businesses an average or $5.60 to $8.71 for every dollar spent, according to Nucleus Research. There are so many CRMs out there, picking one can seem like a daunting challenge. Start out by not letting yourself get overwhelmed. You know what your business needs better than anyone. All you must do is find a CRM with all the tools you need daily. Don’t bother getting a program with bells and whistles you know you’ll never use. Many CRMs offer free-trial periods to get to know them better. Use these promotional opportunities to your advantage, and test-drive a few before making a final decision. 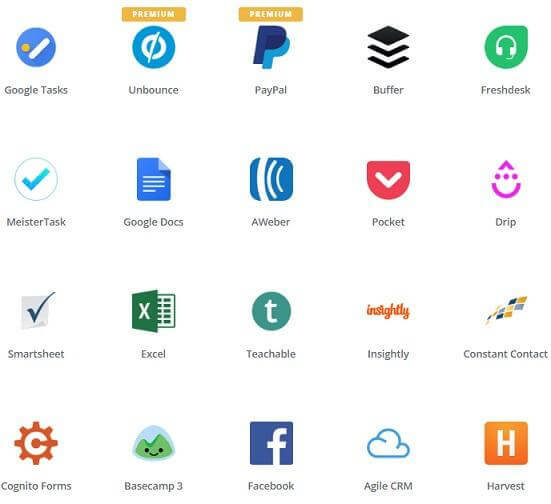 You’re looking for a CRM you’ll use every feature of. If the CRM is overly complicated or has too many tools, don’t bother with them. They’ll only be more of a hindrance for your business than where you are now. Keep everything simple. This piece of advice may sound obvious, but too many people jump into a program with the intent to learn on the fly, rather than sit through tutorials. Turns out, those tutorials and guides will save a lot of time in the long run. The features of your CRM might be excellent already, but you may be underusing features that could be making your life much easier. Every time your CRM offers a demonstration or walkthrough, take the opportunity gratefully. The product exists to save you time running your business, and won’t dare waste a second by teaching you unnecessary or obvious steps. Take a minute of your time and learn something new to help yourself. Once you really start using the CRM, you’ll find some potentially confusing terms. Many of them are easy to understand if you’ve worked in sales before. For example, CRMs use the terms “lead” and “opportunity” to describe contacts potentially interested in your products. Some terms, however, are a bit more exclusive to CRMs. For example, “profiles” are employees in your company who use the same CRM app. You can grant them “roles” giving them permissions to use certain parts of the app. In the marketing sections, use a “campaign” to keep track of your work on specific projects. As with social media, “tags” allow you to add extra information to contacts and other items. Then, there’s “activity,” which provides a recent rundown of everything happening in the app. One of the primary ways a CRM works for you is by putting all your contacts in one place, including everything from relationships to conversations. You can use the CRM to keep track of those conversations, including all CC’d messages, and keep everything organized for when you need to know what’s going on. It stores all pertinent information right at your fingertips. The CRM keeps copies of emails you’ve sent to a person in their contact information, so you always know if you sent along those memos or not. You can also use the CRM’s features to save frequently used email templates to prevent you from having to rewrite everything continuously. If you’re sending hundreds or thousands of emails a day, shaving off a few seconds on every message can save you a lot of time overall. Your CRM keeps up with conversations, businesses, leads and other valuable information — all in the name of marketing. You can even automate procedures through your CRM, like sending emails in response to clicks from other people and setting up notifications for when a real person needs to come in. To get automation going and responses happening quickly, your CRM needs to have a lot of information available on hand, which is where it excels. All the beneficial data you’re giving your CRM is just sitting there doing nothing unless you act first. Some CRMs come with built-in analytics to parse the data for you, meaning you can get more information and variables from what you already know. You can then use the data to make informed business decisions down the road, saving you not only time, but a lot of money, too. Your CRM implements a sales pipeline based on data to show projections of sales and track future revenue. A sales pipeline is excellent, but tends to average out the information, instead of inspecting everything on a case-by-case basis. Business mapping comes in to fill the space by providing information about what sales are happening when and where, giving accountability where necessary. Business mapping can create a visual map to show where you and your staff need to devote the most attention. If you’re running several branches of one business, making the information correlate together and separately at the same time is a lot of work. The CRM does the job and shows the results for you. There are always spare parts you can add to your CRM to make everything run to the capacity you want. For example, tools like Zapier can create new contacts, log calls, schedule meetings and add other things to your CRM automatically. The genius of automation is you never have to lift a finger to do the more trivial and tedious tasks. Let the CRM do everything for you. The extra tools allow your CRM to be a one-stop shop for your business and connections. Integrate them with the software for a better overall experience. Like a smartphone app, you can pair almost anything with your CRM, like social media, Google Drive, PayPal, SurveyMonkey and much more. Your CRM won’t be very helpful if you never use the program. Again, it may sound like obvious advice, but people may download a costly CRM with the intention of getting their business running smoother, then never use the tools at all. The important note, in this case, is not just using the CRM when you need it, but actively relying on the technology. Always have the CRM open when you are at a computer or other device, so you can continue to benefit from the technology. Make sure your workforce is also using the CRM regularly to keep all data in order. Lay down some ground rules with your staff if you have to about what exactly to input to the CRM. 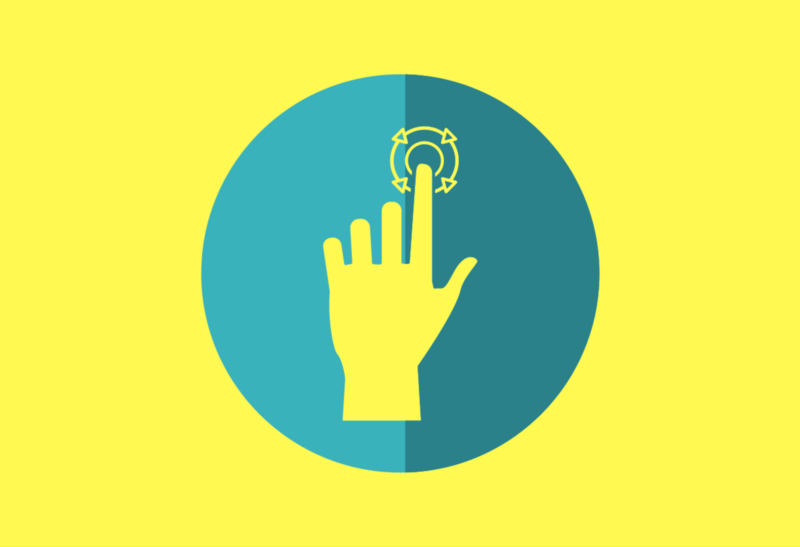 Take advantage of the automation your CRM provides and let the software do the heavy lifting. The CRM won’t make a human error, and your employees will have more time to do important work more suitable for their positions. Customers appreciate the value of being remembered and having time set aside specifically for them. CRM stands for customer relationship management, meaning the customer comes first. According to SalesForce, 83 percent of online shoppers will need a customer representative at some point, and 26 percent of consumers get transferred calls without resolutions. Using the software for their long-term happiness and satisfaction may get you ahead of competitors. The trick is understanding your CRM enough to use to the maximum possible efficiency. The CRM you choose will be based on your company’s needs and have features specific to your business. There is value in taking time to learn and use the tools available, rather than winging something so important. Be sure to actively put all your information in one place, such as email conversations and marketing data, to make sure you get the most of your CRM. Simple yet extremely effective way to put it, Nathan! With so many CRMs out there, it makes sense to adopt it and thus optimize your workflow, but it can get tricky when you don’t know how or where to start.